Shea Moisture is a brand I had always wanted to get my hands on from the beginning of my hair journey. I have read and watched so many product reviews that I was curious to find out if the brand is worth the hype. I finally got the Shea Moisture Yucca & Plantain Anti-Breakage Strengthening Masque and let me just tell y'all about it. The product size is 12oz/340g and it cost me 5,500naira to purchase from an online hair store here in Nigeria. 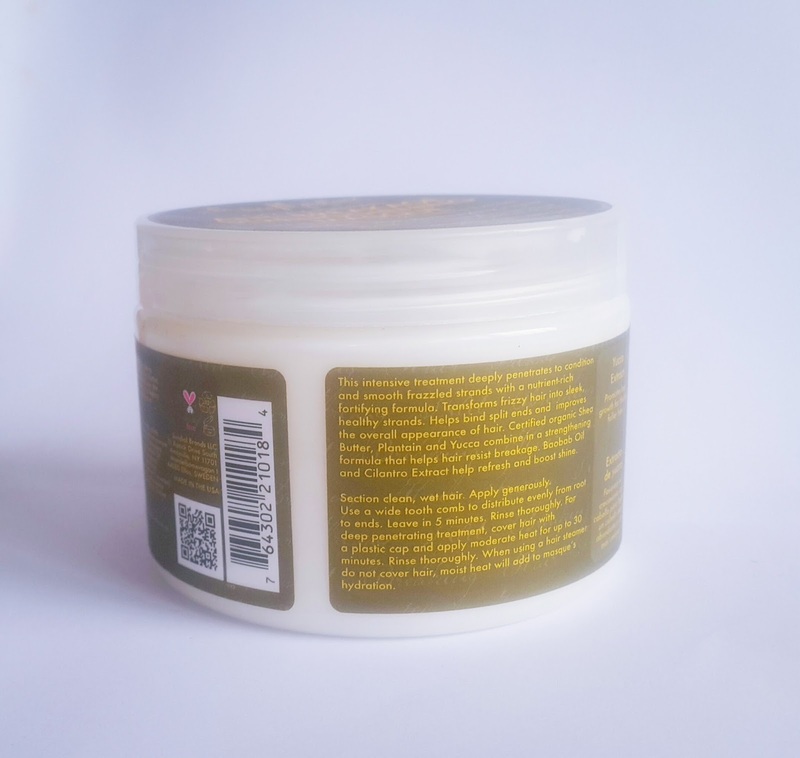 Product packaging and consistency: This product is contained in a round plastic jar so it is very easy to take the quantity you need for your hair and if you take too much you can easily return it into the jar. The consistency of the masque is thick. 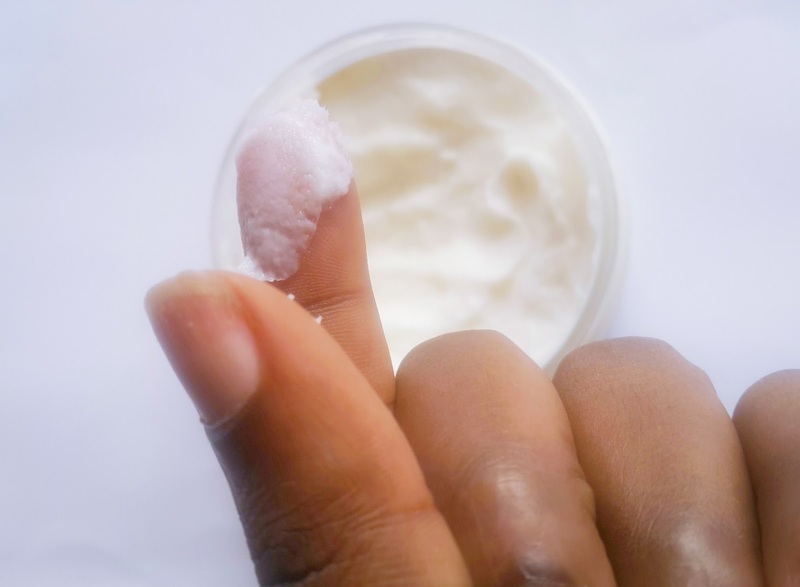 Shea Moisture's claim on the product 'This intensive treatment deeply penetrates to condition and smooth frazzled strands with a nutrient-rich fortifying formula. Transforms frizzy hair into sleek, healthy strands. Helps bind split ends and improves the overall appearance of hair. 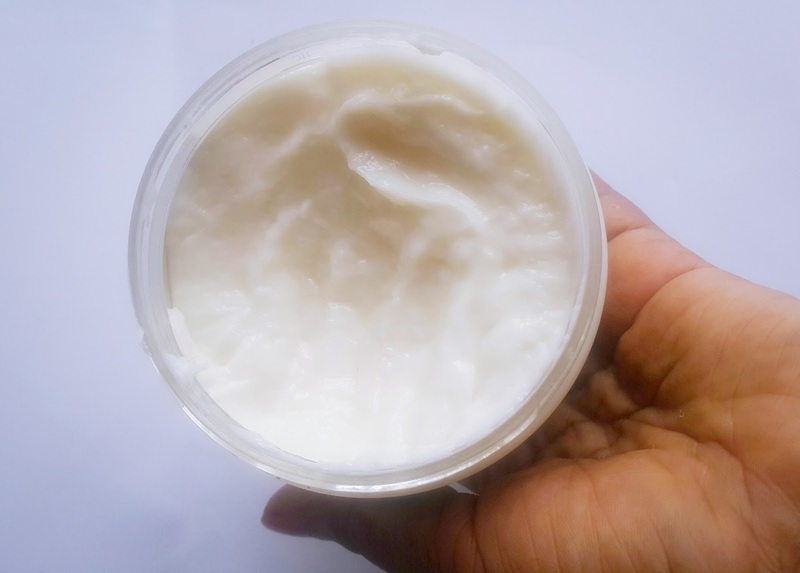 Certified Organic Shea Butter, Plantain and Yucca combine in a strengthening formula that helps hair resist breakage. Baobab oil and Cilantro Extract help refresh and boost shine'. I usually deep condition my hair after I shampoo which was when I applied this product to my hair. The instruction on the jar reads 'Section clean, wet hair. Apply generously. Use a wide tooth comb to distribute evenly from root to ends. Leave in 5 minutes. Rinse thoroughly. For deep penetrating treatment, cover hair with a plastic cap and apply moderate heat for up to 30 minutes. Rinse thoroughly. When using a hair streamer, do not cover hair, moist heat will add to masque's hydration'. I applied it to my hair, covered my hair with a shower cap, wrapped it with a scarf and towel and left the product on for 1 hour 30mins (yeah, I strayed a little from the instruction) then rinsed off the product thoroughly with cold water. My experience: I love love love this masque 💓💙. I'll give it a 4.5/5 grade. First thing I noticed was that my curls were more defined especially at my nape. My hair is soft and fluffy so combing was so easy. My hair strands are strong. You know that sound hair makes when you're combing it, it's about to break or it has broken off and you feel it in your soul like 'OMG! not again'. I'm happy to announce that my hair strands DIDN'T break,lol. I was so happy when I looked at the comb and it had very little (I mean very little) hair on it considering that I hadn't combed my hair one week prior to using the hair masque. It conditioned my hair well. My hair is smooth and has a healthy shine. It has a lot natural and organic ingredients which help to condition and strengthen the hair without harming it. It's price. I think it's a bit pricey at 5,500naira (I want to add here that 5,500naira is the cheapest price I have seen for any Shea Moisture masque). The main reason I don't own a boatload of Shea Moisture products is the price. 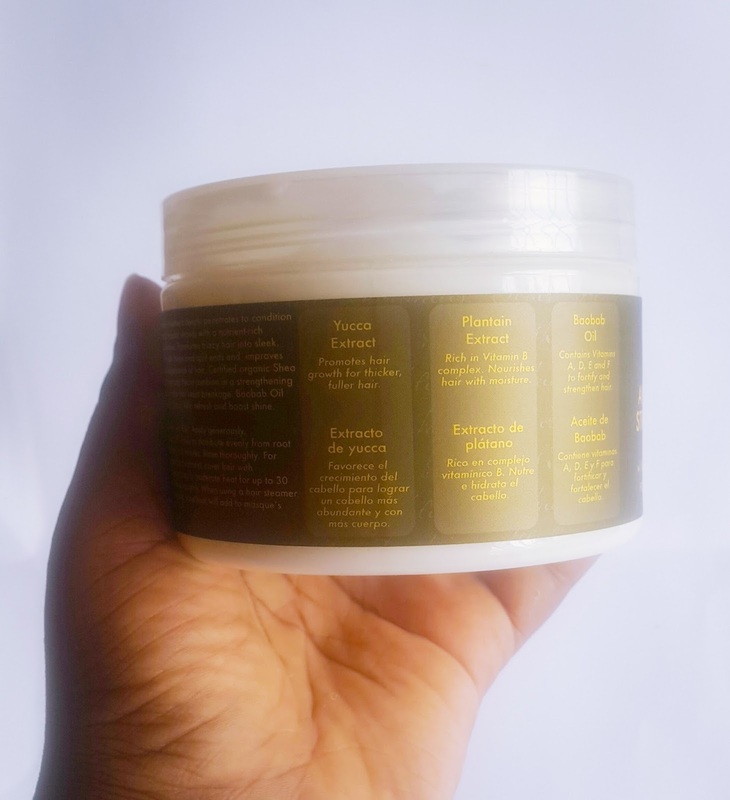 Their products range from 5,000 to 7,500naira depending on the hair store. I also don't like the smell of this product. I was expecting a sweet smell but that wasn't what I got. I hope that it's my initial reaction to it and my nose eventually falls in love with the smell. I just want to write here that for the results I got, this masque is totally worth it and I would recommend it to anyone whose hair is weak and breaking. I ordered this masque from Bellz Natural Hair Care Center. They sell Shea Moisture products at a reasonable price compared to other online hair stores I have seen. So you can reach Bellz via WhatsApp on 09095421182 or via their online store www.bellz.com.ng. They offer nationwide delivery. 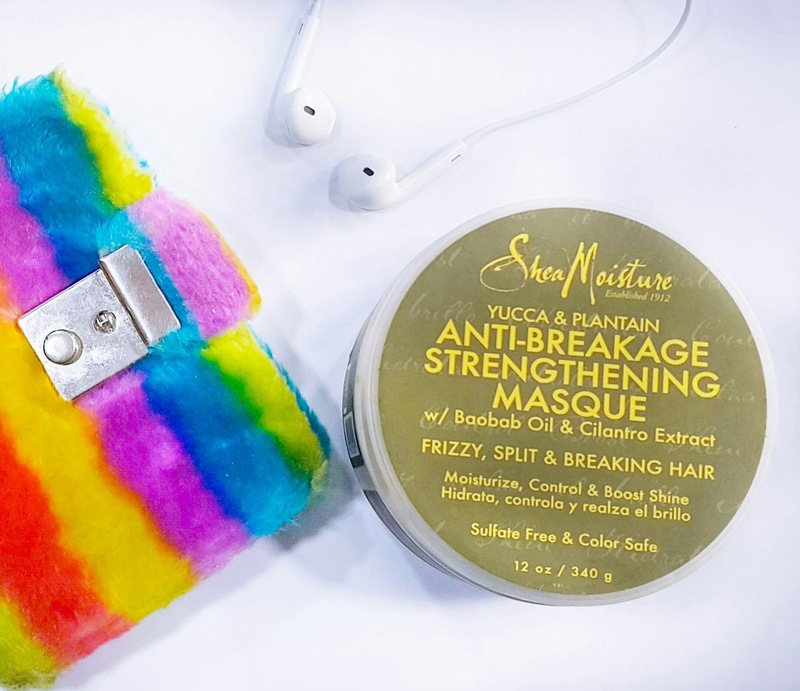 Sharing is caring: If you have used this product or any Shea Moisture product, please share your thoughts with me and other readers in the comments.